Evidence of Apple’s new slates has been popping up in iOS 12 code for months. We originally believed that the devices would be unveiled in September alongside the iPhone XR and Apple Watch Series 4, but now we’re expecting another event this fall — which could also bring new Macs. The iPad Pro refresh could be one of the biggest we’ve seen since Apple introduced the larger and pricier options to its lineup. You can expect the new iPad Pro to carry edge-to-edge displays without a physical Home button, a new report from 9to5Mac reveals. Unlike the iPhone, however, they will not need a notch because their bezels will still be big enough to accommodate Face ID. What’s more, Face ID on the new iPad Pro is expected to work in landscape mode — though it won’t work if you’re holding the device upside down. Face ID doesn’t work in landscape mode on the iPhone X or iPhone XR, but it’s not clear if the new iPad Pro will carry new hardware that makes this possible, or whether it could be enabled on the iPhone through a software update. It is believed the iPad Pro will use the same image signal processor for Face ID as the iPhone XS. Another first for the iPad Pro — or any iOS device — will be USB-C connectivity, the sources claim. You should be able to use it for all manner of things, but perhaps its most exciting functionality will be to output 4K HDR video to external displays. This means you’ll be able to connect your new iPad Pro to a monitor or TV and enjoy 4K HDR movies and TV shows. “To accommodate this feature, there will be a new panel in the settings app where users will be able to control resolution, HDR, brightness and other settings for connected external displays,” adds 9to5Mac. As if USB-C and Lightning weren’t enough for connectivity, Apple is also expected to introduce a new magnetic connector for accessories. It will sit on the back of the device — as previous leaks have indicated — and will be used for things like Smart Keyboards and more. The report doesn’t mention whether the original Smart Connector will remain, but case leaks have suggested Apple will give us both options. Finally, a second-generation Apple Pencil is expected to launch alongside the new iPad Pro, and you’ll be able to pair it simply by bringing the two devices close together — in the same way you connect AirPods to your iPhone. 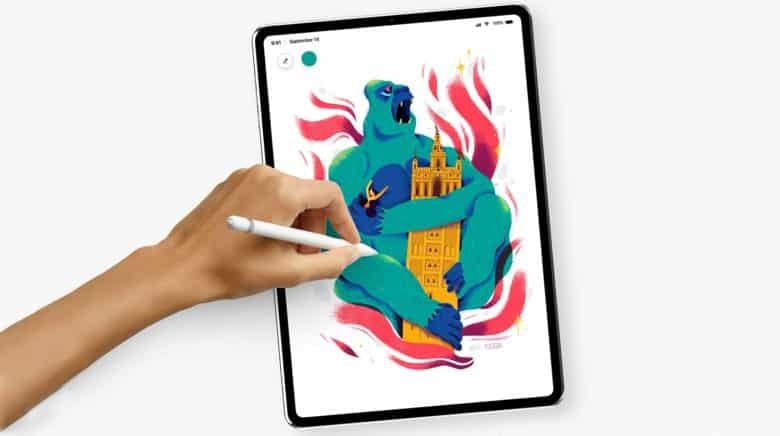 It’s not yet clear if the original Apple Pencil will work with newer iPads, but it seems unlikely Apple would leave existing Apple Pencil owners out in the cold.